Captain Steve’s Statistics: I am U.S. Coast Guard licensed and insured. I have been a tournament fisherman for the past 20 years and look forward to sharing my knowledge with my customers. I will not fish that day. This is your day and I will be there to help and advise you. I have experienced the thrill of catching lots of Bass over the years in several different states. It was the beauty of Central Florida, and the weather that brought me here from Indiana several years ago. I had made many trips to Florida and found it to be some of the finest fishing around. I specialize in Bass fishing with artificial lures. My goal is to help you catch as many trophy fish as possible with artificial lures or shiners. 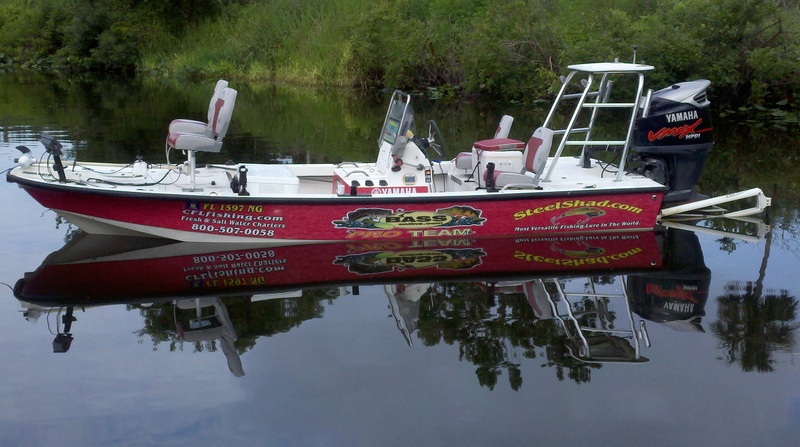 We will primarily be fishing the St. John’s River between Lake Monroe to the South and Lake George to the North. I also fish the Kissimmee Chain, I do multi day trips to the Stick Marsh/Farm 13. I have a Taxidermy service that will make you a lifelike reproduction that only you will know is not the fish that you let back in the water to grow and become an even larger Trophy that you or someone you know might be fortunate enough to catch again on another fishing trip. The reproductions are also easier to care for, and cost is about the same as a skin mount.